Garth Edwards’ amusing and whimsical story follows the exploits of two pixies who can’t help but get themselves into hilarious trouble. The characters are funny and charming, and totally engaging for young readers. 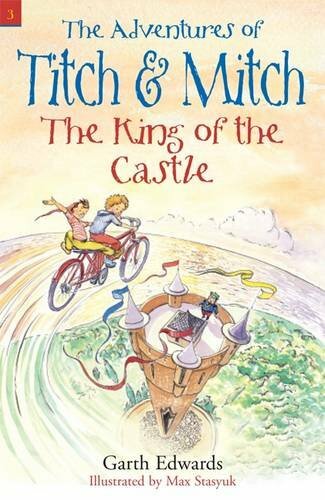 The beautifully illustrated book captivates the reader and pulls him into the magical story.King of the Castle is the third book in the series, The Adventures of Titch & Mitch. In this book, Titch and Mitch are at it again! But this time, they are kidnapped by the King of the Castle to make pixie stew. The grammar and vocabulary levels of this book are appropriate for the 5th grade reader to promote reading comprehension. Students will be captivated by the witty, off the wall story and they will not want to put this book down. The King of the Castle fosters children’s imaginations through magic and adventure. This book is a real page turner! It makes a wonderful addition to any classroom, school or home library. 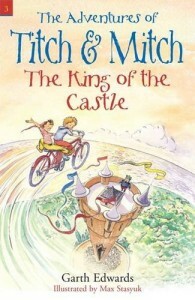 The Adventures of Titch & Mitch: The King of the Castle should be included in any school’s fifth grade reading list. It would be great to include The King of the Castle in a unit about adventure stories. Students will be learning writing techniques and literary genres and would benefit from having this book on their reading list. Check out the author’s website, http://www.titchandmitch.co.uk/books_king.html, where you can meet the characters from the books, read about the author, and download pictures for coloring!